A beautiful bespoke oak Memory Box to house your treasured memories and keepsakes. This stunning handmade box takes the place of the old battered shoe box we all have hidden away in a cupboard. 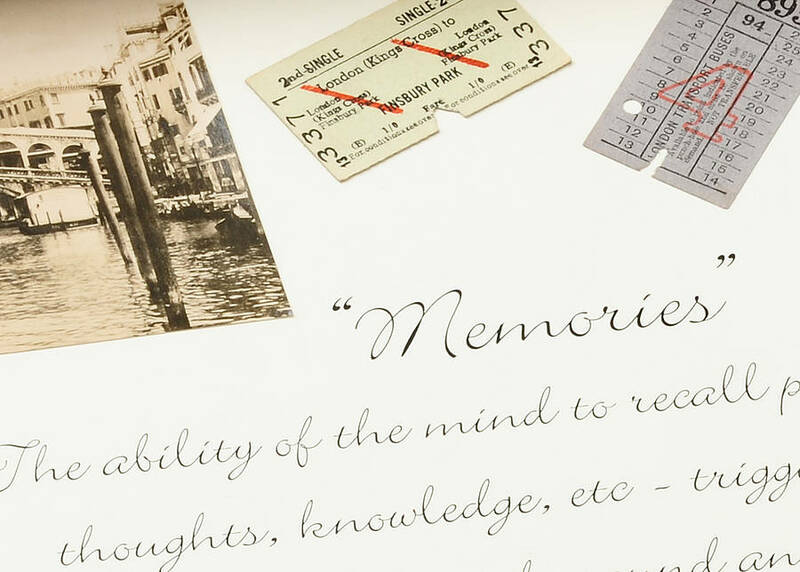 The Memory box can be out on display all the time. I create, design and hand make these bespoke oak boxes to order and is a truly individual and unique gift for anyone. 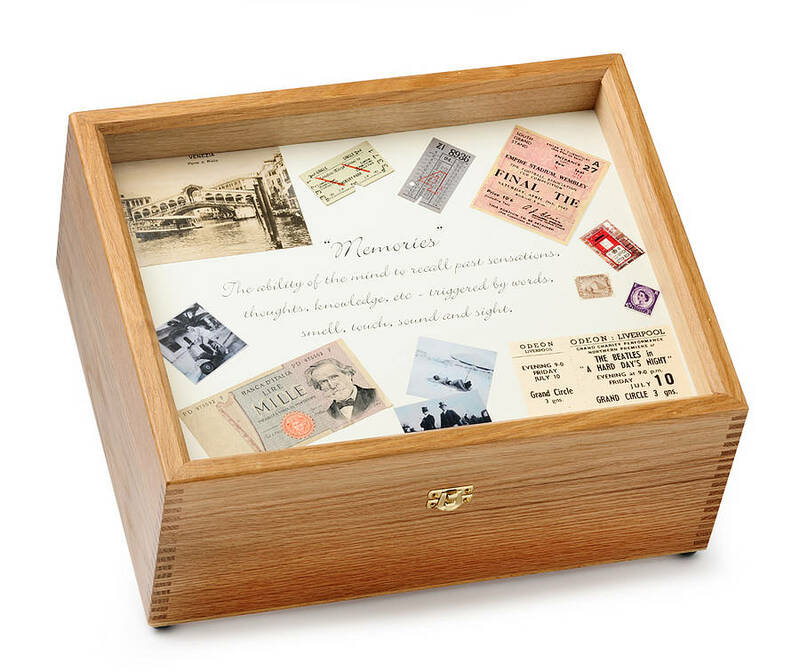 This beautiful bespoke solid oak memory box with a glass lid features a collection of original tickets, postcards and photograph. The text has been re-produced in black ink onto a soft cream cotton card background. The design is set into the lid of the memory box. 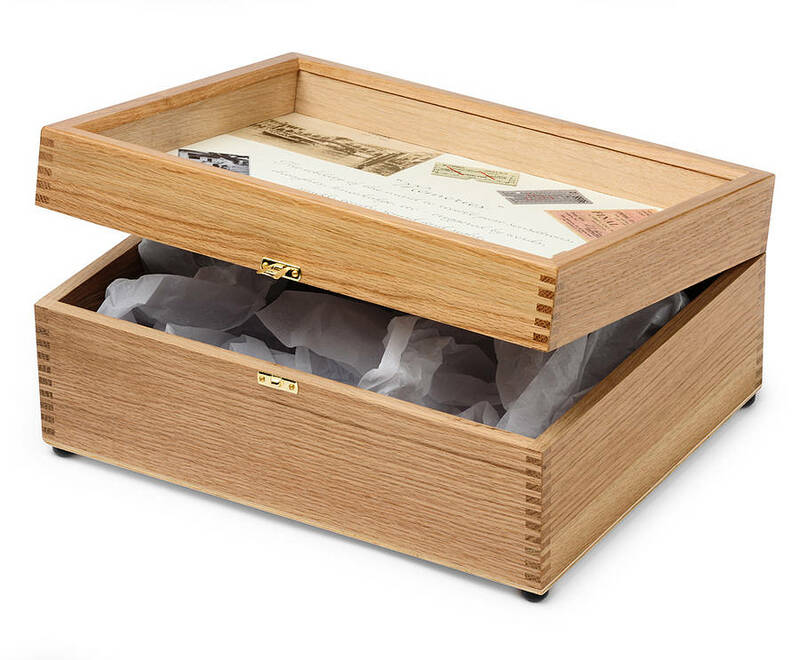 The box is handmade from solid English oak and is double-hinged with a brass clasp at the front of the box. It has four legs that will protect the box from rough surfaces but will also protect delicate surfaces. It has been created to house treasured keepsakes and momentos. This product is dispatched to you by Elizabeth Young Designs. Next day delivery is standard on a signed for courier service.